The Princeton PiggyBack® Delivery System is a proven method for delivering brick, block, & pavers that has revolutionized customer service and delivery efficiency. The Princeton PiggyBack® Truck-Mounted Forklift is a proven method for delivery of brick, block, pavers, and other concrete products. Historically, materials were delivered to the edge of a site by a flat bed truck or truck-mounted crane. The customer then had to move the materials again to wherever the work was being done. 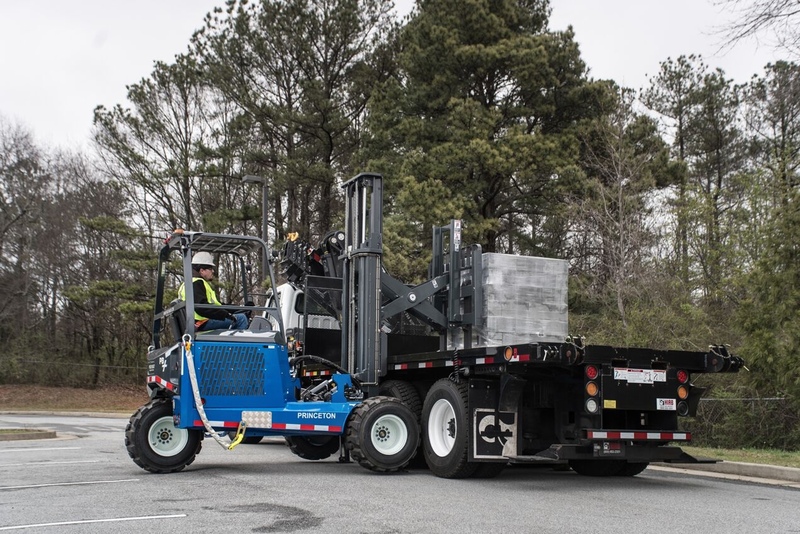 The PiggyBack® truck-mounted forklift enables your driver to spot-deliver materials precisely where your customer wants them, faster and easier, on virtually any work site with unmatched stability. Princeton offers models tailored towards the demanding needs of the brick industry.